Israel Regardie wrote The Philosopher's Stone in 1936-37 while he was confined to bed with a severe bout of bronchitis. During this time he was determined to comprehend Mary Anne Atwood's Suggestive Inquiry into the Hermetic Mystery. Written in 1918, Atwood's text documented the enormous impact that hermetic philosophy has had on human spirituality. Her tome presented readers with alchemical treatises such as The Golden Tractate of Hermes and The Six Keys of Eudoxus—texts infused with riddles and symbolic codes used to secretly communicate to fellow alchemists the true purpose of the Hermetic Art and the Great Work. In studying this enigmatic text, Regardie states "Suddenly, and to my utter amazement, the whole enigma became crystal clear and alive." Over the course of the next two weeks, Regardie wrote the bulk of The Philosopher's Stone. 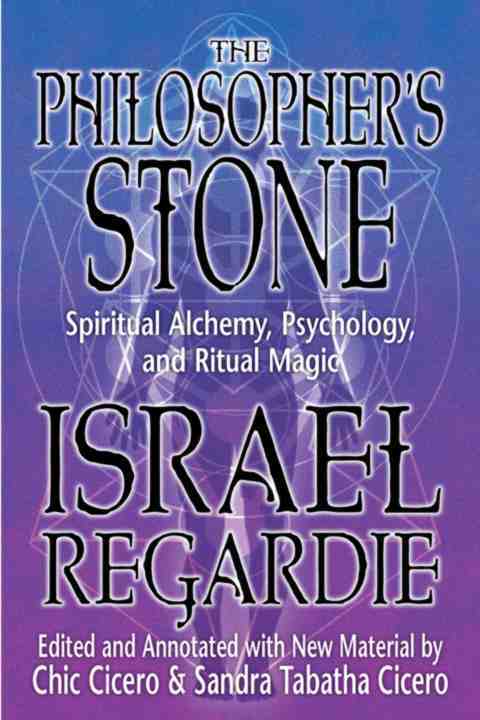 In this text Regardie analyzes three important alchemical treatises, explaining how the operations they describe are in reality psychoanalytical processes of self-realization and spiritual attainment. He approaches the documents symbolically, using the symbol systems of magic, psychology and Qabalah. A this point in his development, Regardie was convinced that alchemy was a thinly veiled psycho-spiritual process—the operations in laboratory alchemy that professed to work on metals, minerals and plant matter were in reality focused solely at man's mind, soul, and spirit. After working with acclaimed alchemist Frater Albertus in his later life, Regardie changed his opinion about the validity and goals of laboratory alchemy. Although Regardie mentions this in his Introduction to the Second Edition, where he candidly admits his earlier mistake, he also explains how he wished to leave his original conclusions in the book intact because he felt it could still be of immense value to students. As a result The Philosopher's Stone remains a classic text and a masterpiece on spiritual alchemy. This new edition of The Philosopher's Stone contains Regardie’s masterpiece in its entirety, fully annotated. 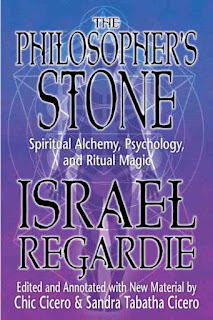 The second half of the book contains new material from prominent authors and Golden Dawn Magicians, including essays which further explore the connections between alchemy (laboratory and spiritual), psychology, and magic, as well as practical rituals written in accordance with the Golden Dawn's Z2 Formula of the Magic of Light (Heh Final), dealing with Alchemy. The text is rounded out with further resources, Including a glossary, biographical dictionary, bibliography, and suggested reading list.